All George Washington University (GW) students, faculty and staff members can reserve the study & meeting rooms located on the ground floor of the Marvin Center. Students, faculty and staff can use these spaces in single two-hour increments per day. For your convenience, these spaces can be reserved minutes before your next meeting as they do not require a confirmation from the Events & Venues staff. Please call Events & Venues at 202-994-3605 to have your room unlocked. Sunday - Wednesday: 7:00 a.m. – 12:00 a.m.
Thursday - Saturday: 7:00 a.m. – 2:00 a.m.
All GW students can reserve the study & meeting rooms located on the fifth floor of the Marvin Center. These spaces can be used in single two-hour increments per day. For your convenience, these spaces can be reserved minutes before your next meeting as they do not require a confirmation from the Events & Venues staff. Please call Events & Venues at 202-994-3605 to have your room unlocked. Monday - Wednesday: 7:00 p.m. – 12:00 a.m.
Thursday - Friday: 7:00 p.m. – 2:00 a.m.
Saturday: 8:00 a.m. - 2:00 a.m.
Sunday: 8:00 a.m. – 12:00 a.m.
MC G07 is located on the ground floor of the Marvin Center and can accommodate up to 12 people. MC G09 is located on the ground floor of the Marvin Center and can accommodate up to 4 people. 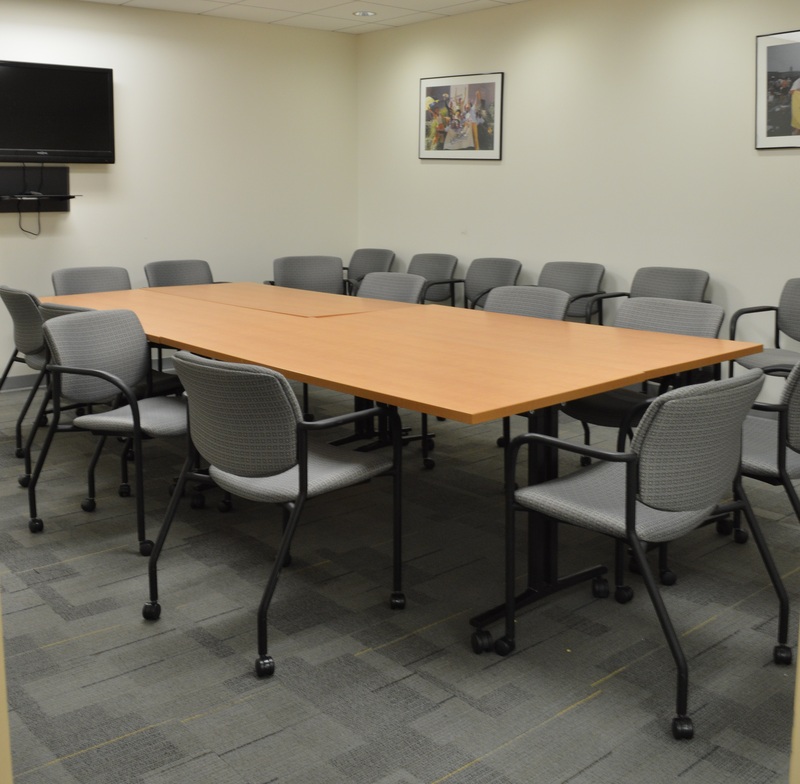 MC 506 is located on the fifth floor of the Marvin Center and can accommodate up to 12 people. 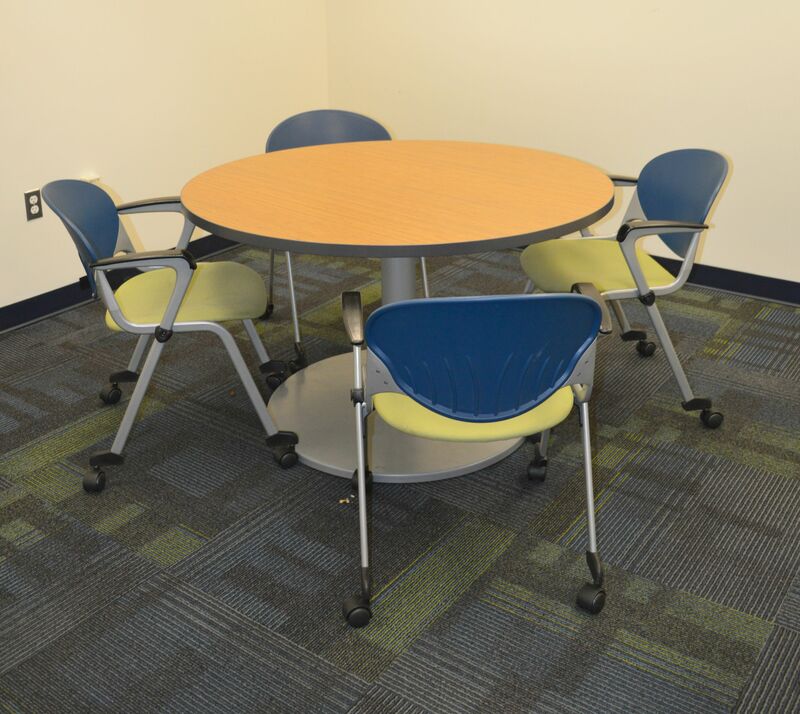 MC 534 is located on the fifth floor of the Marvin Center and can accommodate up to 4 people.